VIRGINIA SCHARFF is Associate Provost for Faculty Development and Distinguished Professor of History and Director of the Center for the Southwest at the University of New Mexico. She has published numerous books including Taking the Wheel: Women and the Coming of the Motor Age (1991); Twenty Thousand Roads: Women, Movement, and the West (2003), two textbooks, Present Tense: The United States Since 1945 (1996); and Coming of Age: America in the Twentieth Century (1998); Home Lands: How Women Made the West (coauthored with Carolyn Brucken, 2010); and the edited volume, Seeing Nature Through Gender (2003). She was Beinecke Research Fellow in the Lamar Center for Frontiers and Borders at Yale University (2008-9), and is Chair of Western Women’s History at the Autry National Center in Los Angeles, and a Fellow and Executive Board Member of the Society of American Historians. She was President of the Western History Association for 2008. Scharff’s most recent book, The Women Jefferson Loved (HarperCollins, 2010) was named a New York Times “Editor’s Choice.” In this book, Scharff puts Jefferson’s free and slave families into the same story, and reveals how Jefferson’s love for women shaped his ideas, achievements, and legacies. For the first time, Scharff gives us a Jefferson who belongs to all of us. Scharff served as co-curator of “Home Lands: How Women Made the West,” an exhibition sponsored by the Autry National Center, which opened in Los Angeles at the Autry in April, 2010 and traveled to the Missouri History Center, the Museum of New Mexico, and the Gilcrease Museum. 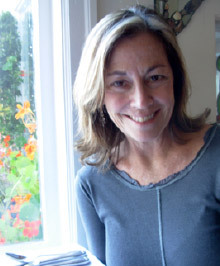 She is also the author of four mystery suspense novels, written under the name of VIRGINIA SWIFT: Brown-Eyed Girl (2000), Bad Company (2002), Bye, Bye, Love (2004), and Hello, Stranger (2006). She is at work on an exhibition and book about the Civil War and the West.